EA claims the Battlefield: Hardline delay is so they can add "more innovation" to the game. If you, like me, booted up the Battlefield: Hardline beta and were dismayed to discover it was, at best, a mod of Battlefield 4, and, at worst, a buggy mess, you may be relieved to hear that EA games is taking it back to the shop, delaying its original October 2014 release date until "early 2015". EA says that this delay is mostly due to feedback from the beta, and gives the Hardline team more time to further "innovate" the game. Multiplayer Innovation - IE: Making the game feel less like a Battlefield 4 mod and more like its own game. Single Player Story Depth - IE: Giving people a reason to play the game's story mode. Stability - IE: Avoiding the bug-riddled mess that was Battlefield 4's launch. "We are doing all of this for one reason. 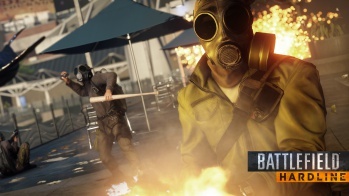 Because we want Battlefield: Hardline to be the best game it can be, and so that we can create the best environment for a smooth launch for our players," stressed EA. What do you think? Is a few extra months enough time for Visceral to "fix" Hardline, or is it already a lost cause?